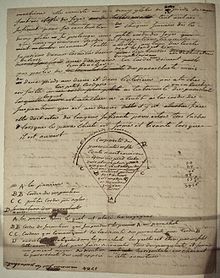 Joseph-Michel Montgolfier (26 August 1740 - 26 June 1810) and Jacques-x�tienne Montgolfier (6 January 1745 - 2 August 1799) were the inventors of the montgolfix�re-style hot air balloon, globe a�rostatique. The brothers succeeded in launching the first manned ascent, carrying x�tienne into the sky. Later, in December 1783, in recognition of their achievement, their father Pierre was elevated to the nobility and the hereditary appellation of de Montgolfier by King Louis XVI of France. The brothers were born into a family of paper manufacturers in Annonay, in Ardx�che, France. Their parents were Pierre Montgolfier (1700-1793) and his wife, Anne Duret (1701-1760), who had sixteen children. Pierre established his eldest son, Raymond Montgolfier, later Raymond de Montgolfier (1730-1772), as his successor. Joseph, the 12th child, possessed a typical inventor's temperament-a maverick and dreamer, and impractical in terms of business and personal affairs. x�tienne had a much more even and businesslike temperament. As the 15th child, and particularly troublesome to his elder siblings, he was sent to Paris to train as an architect. However, after the sudden and unexpected death of Raymond in 1772, he was recalled to Annonay to run the family business. In the subsequent 10 years, x�tienne applied his talent for technical innovation to the family business; paper making was a high-tech industry in the 18th century. He succeeded in incorporating the latest Dutch innovations of the day into the family mills. His work led to recognition by the government of France as well as the awarding of a government grant to establish the Montgolfier factory as a model for other French paper makers. Of the two brothers, it was Joseph who first contemplated building machines. Gillispie puts it as early as 1777 when Joseph observed laundry drying over a fire incidentally form pockets that billowed upwards. Joseph made his first definitive experiments in November 1782 while living in the city of Avignon. He reported, some years later, that he was watching a fire one evening while contemplating one of the great military issues of the day-an assault on the fortress of Gibraltar, which had proved impregnable by both sea and land. Joseph mused on the possibility of an air assault using troops lifted by the same force that was lifting the embers from the fire. He believed that contained within the smoke was a special gas, which he called Montgolfier Gas, with a special property he called levity. As a result of these musings, Joseph set about building a box-like chamber 1x�1x�1.3 m (3 ft by 3 ft (0.91 m) by 4 ft) out of very thin wood and covering the sides and top with lightweight taffeta cloth. He crumpled and lit some paper under the bottom of the box. The contraption quickly lifted off its stand and collided with the ceiling. Joseph then recruited his brother to balloon building by writing the prophetic words, "Get in a supply of taffeta and of cordage, quickly, and you will see one of the most astonishing sights in the world." The two brothers then set about building a contraption three times larger in scale (27 times larger in volume). The lifting force was so great that they lost control of their craft on its very first test flight on 14 December 1782. The device floated nearly two kilometers (about 1.2 mi). It was destroyed after landing by the "indiscretion" of passersby. The brothers decided to make a public demonstration of a balloon in order to establish their claim to its invention. They constructed a globe-shaped balloon of sackcloth with three thin layers of paper inside. The envelope could contain nearly 790 m� (28,000 cubic feet) of air and weighed 225 kg (500 lb). It was constructed of four pieces (the dome and three lateral bands) and held together by 1,800 buttons. A reinforcing fish net of cord covered the outside of the envelope. In collaboration with the successful wallpaper manufacturer Jean-Baptiste R�veillon, x�tienne constructed a 37,500-cubic-foot (1,060 m) envelope of taffeta coated with a varnish of alum (which has fireproofing properties). The balloon was sky blue and decorated with golden flourishes, signs of the zodiac, and suns. The design showed the intervention of R�veillon. The next test was on the 11th of September from the grounds of la Folie Titon, close to the house of R�veillon. 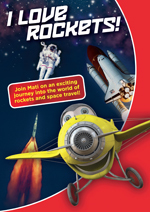 There was some concern about the effects of flight into the upper atmosphere on living creatures. The king proposed to launch two criminals, but it is most likely that the inventors decided to send a sheep, a duck, and a rooster aloft first. On 19 September 1783. the Aerostat R�veillon was flown with the first living beings in a basket attached to the balloon: a sheep called Montauciel ("Climb-to-the-sky"), a duck and a rooster. The sheep was believed to have a reasonable approximation of human physiology. The duck was expected to be unharmed by being lifted aloft. 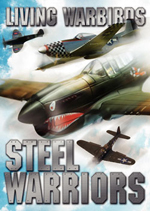 It was included as a control for effects created by the aircraft rather than the altitude. The rooster was included as a further control as it was a bird that did not fly at high altitudes. This demonstration was performed before a crowd at the royal palace in Versailles, before King Louis XVI of France and Queen Marie Antoinette. The flight lasted approximately eight minutes, covered two miles (3 km), and obtained an altitude of about 1,500 feet (460 m). The craft landed safely after flying. 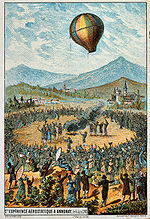 Picture - A 1786 depiction of the Montgolfier brothers' historic balloon with engineering data. Details are available in translation on the image hosting page. With the successful demonstration at Versailles, and again in collaboration with R�veillon, x�tienne started construction of a 60,000-cubic-foot (1,700 m) balloon for the purpose of making flights with humans. The balloon was about seventy-five feet tall and about fifty feet in diameter. It had rich decorative touches supplied by R�veillon. The color scheme was gold figures on a deep blue background. Fleur-de-lis, signs of the zodiac, and suns with Louis XVI's face in the center interlaced with the royal monogram in the central section graced the majestic machine. Red and blue drapery and golden eagles were at the base of the balloon. It is fitting that x�tienne Montgolfier was the first human to lift off the earth, making at least one tethered flight from the yard of the R�veillon workshop in the Faubourg Saint-Antoine. It was most likely on October 15, 1783. A little while later on that same day, Pilatre de Rozier became the second to ascend into the air, to an altitude of 80 feet (24 m), which was the length of the tether. On 21 November 1783, the first free flight by humans was made by Pilx�tre, together with an army officer, the marquis d'Arlandes. The flight began from the grounds of the Chx�teau de la Muette (close to the Bois de Boulogne (park)) in the western outskirts of Paris. They flew aloft about 3,000 feet (910 m) above Paris for a distance of nine kilometres. After 25 minutes, the machine landed between the windmills, outside the city ramparts, on the Butte-aux-Cailles. Enough fuel remained on board at the end of the flight to have allowed the balloon to fly four to five times as far. However, burning embers from the fire were scorching the balloon fabric and had to be daubed out with sponges. 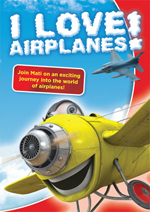 As it appeared it could destroy the balloon, Pilx�tre took off his coat to stop the fire. The early flights made a sensation. Numerous engravings commemorated the events. Chairs were designed with balloon backs, and mantel clocks were produced in enamel and gilt-bronze replicas set with a dial in the balloon. One could buy crockery decorated with naive pictures of balloons. In 1766, the British scientist Henry Cavendish had discovered hydrogen, by adding sulphuric acid to iron, tin, or zinc shavings. The development of gas balloons proceeded almost in parallel with the work of the Montgolfiers. This work was led by Jacques Charles and les Frx�res Robert (Anne-Jean Robert, and Nicolas-Louis Robert). On 27 August 1783, Le Globe, a hydrogen balloon, was launched from the Champ de Mars in Paris. Six thousand people paid for a seat. On December 1, Jacques Charles and Nicolas-Louis Robert flew La Charlix�re, the first manned hydrogen balloon, for 2 hour 5 minutes and covered 36 km. Jacques Charles immediately flew again, alone, and ascended to 3,000 metres. Work on each type of balloon was spurred on by the knowledge that there was a competing group and alternative technology. For a variety of reasons, including the fact that the French government chose to put a proponent of hydrogen in charge of balloon development, hot air balloons were superseded by hydrogen balloons. Hydrogen balloons became the predominant technology for the next 180 years. 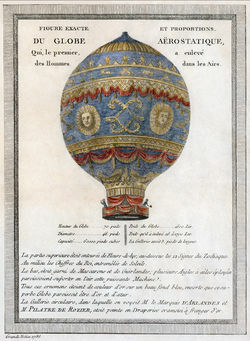 Hydrogen balloons were used for all major ballooning accomplishments, such as the crossing of the English Channel on 7 January 1785 by the tireless aviators Jean-Pierre Blanchard and Dr. John Jeffries, from Boston. Some claim that the hot air balloon was invented some 74 years earlier by the Brazilian Portuguese priest Bartolomeu de Gusmx�o. A description of his invention was published in 1709 in Vienna, and another one that was lost was found in the Vatican (circa 1917). 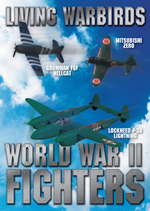 However, this claim is not generally recognized by aviation historians outside the Portuguese-speaking community, in particular the F�d�ration A�ronautique Internationale.